NATIVECO is founded by Morgan Howard. Morgan owns Morgan Howard Productions (MHP), a communications company which predominantly works for Alaska Native Corporations (ANC), providing video, web, multimedia production along with communication strategy. Morgan is Tlingit, born and raised in Alaska. He is currently the Board Chair of Yak-tat Kwaan, Inc. – the village corporation for Yakutat, Alaska. 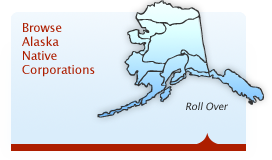 Alaska Native Corporations (ANCs) are unique, all created through the passage of the 1971 Alaska Native Claims Settlement Act (ANCSA). 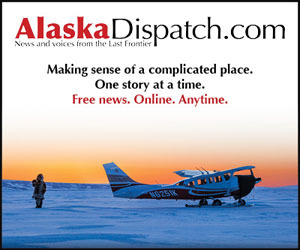 ANCs make up 8 out of the top 10 corporations in Alaska. Several ANCs generate more than one billion in revenues. NATIVECO is designed to be “the Place to Go” for Alaska Native business. At its core is a database containing essential information on the 210 Native corporations. The site is also a community with current news, original content, bios/profiles, calendar, job listings, ads, podcast, online store, blog, resources and videos. Our goal at NATIVECO is to be visited everyday by Alaska Native business leaders and those wishing to do business with them. Through NATIVECO.COM, we hope to create an online community where Alaska Native Corporations can communicate with each other in the most powerful ways, thus creating better companies and better lives for all Alaska Natives and Alaskans. We are building the site with a definite point of view. We believe the current and out-going generation of leaders have fought hard to succeed in the American corporate world. For many the goal was to just survive… often the integration or balance of Native values was a puzzle without an immediate answer. Many years have passed and now many ANCs are successful. The next generation will build from this foundation and re-shape ANCs in their vision. There are new models of what corporations can be… From high tech companies to green companies with “triple bottom lines”. Many ANCs purport to balance profit with Native Values. In practice however, there is still a discrepancy between what ANCs “say” and “do”. However, if they continue to progress in earnest toward this end… They will affect profound change. We believe the world will one day look at Alaska Native Corporations and emulate their corporate model. The board of advisors for NATIVECO.COM consists of Byron Mallot, Joe Beedle and Aliza Sherman.